Bears face left. 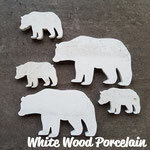 Since these bears are cut from tiles with high pattern variation, each one will have different and unique patterning; just like a real bear! 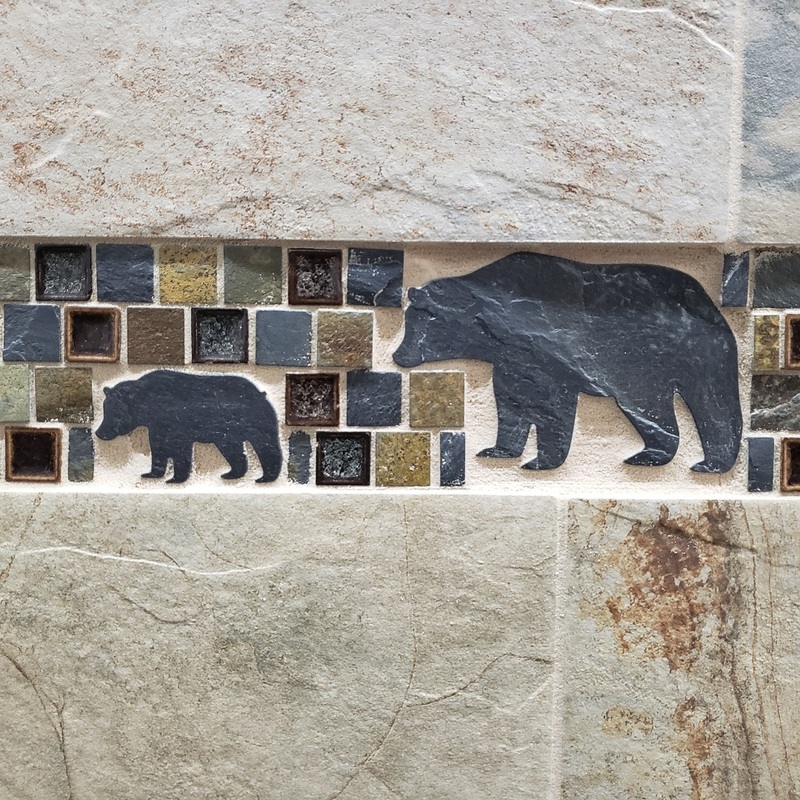 Bear tiles can be installed in various tile applications: on floors, walls, backsplashes, fireplace surrounds, showers, and outside. Slate is a porous natural stone; we recommend sealing with a penetrating stone sealer to protect from stains. 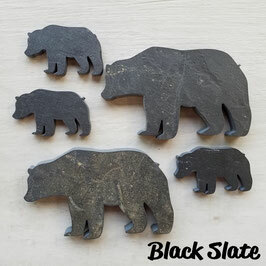 Learn about cleaning and maintaining slate here. 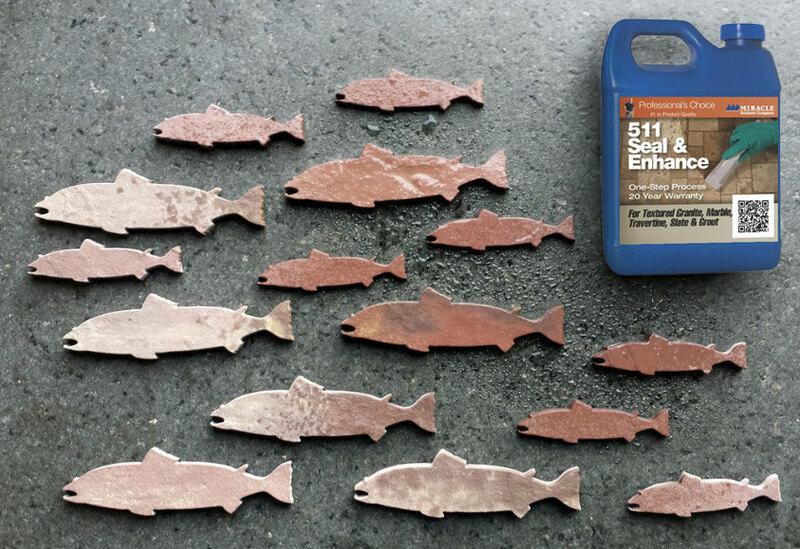 Use an enhancing sealer such as Miracle Seal & Enhance to intensify the color of your slate or marble tile. 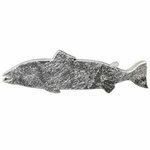 This sealer typically lasts up to 20 years. 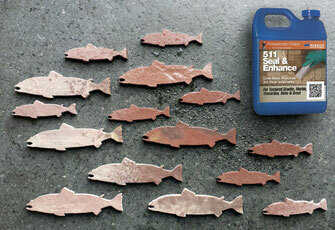 Seal & Enhance will not change the finish of your tile. 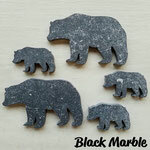 The bear tiles have a matte finish and will remain matte after you seal them. 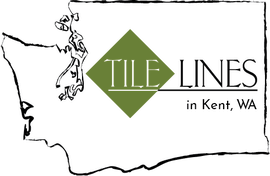 Strong or acidic cleaners will decrease the lifespan of your sealer and could damage your stone tiles. 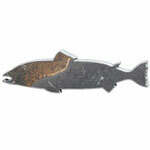 Learn more on our cleaner and sealer pages. 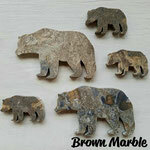 Check out our other bear colors! 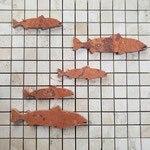 Feed your bear a salmon tile! 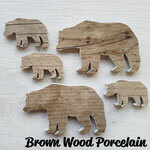 Share these bears with a friend!